yum! This sounds delicious!!! 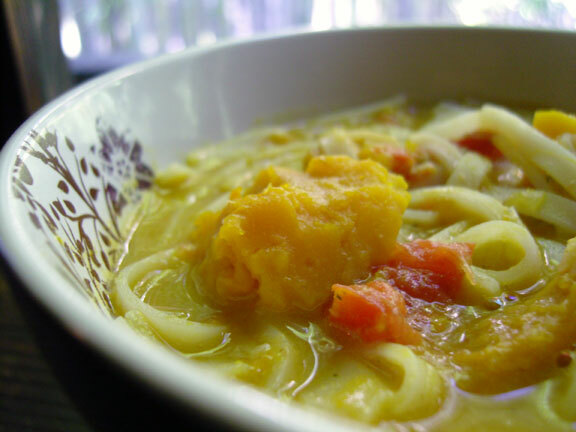 I love the flavors of pumpkin and laksa! Just emailed this recipe to Jeff and Kathy - they will LOVE IT!! I just wanted to commemorate the one year anniversary of your last post (tomorrow)! What a year! It looks wonderful! Couldn't help but admire the wonderful colors in this dish. Ideal Food for a Day! I am nuts about food and always bake and cook every chance that I get! Every Sunday is the ideal day for baking and cooking such. I really made sure that it is nutritious and even mix herbs with it for a unique tang! Make sure to log on at Gourmandia for more unique recipes that can really leave you riveting!